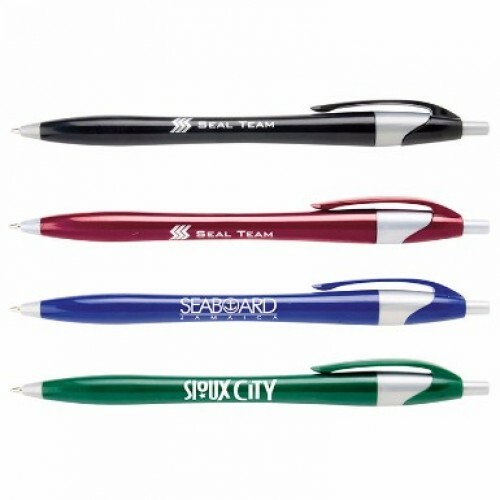 These customizable crowd favorites are always a safe bet! 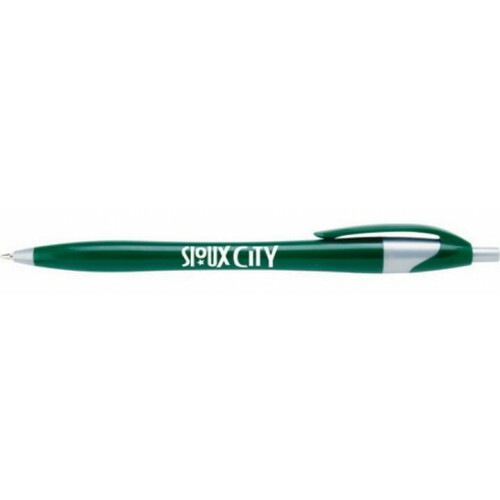 The write choice for your next promotional event, the Javalina® Corporate pen will come in handy. You don't need to be in a boardroom to enjoy writing with our Javalina Corporate ballpoint pen. With a uniquely shaped body, it fits comfortably in your hand. 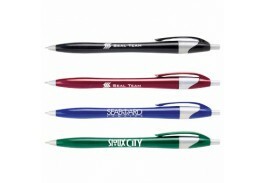 Features include a deep corporate colored barrel with gray accents and a guaranteed ultra-smooth writing ink cartridge. For best results, the recommended imprint colors are silver or white. Price includes a Full Color Imprint! Full Color Imprint Area: 2" x ¼"
*Order and art approval must be received by 11:00 am EST to ship following day! (does not include shipping time). Must specify RUSH and your in hand date in the orders notes.